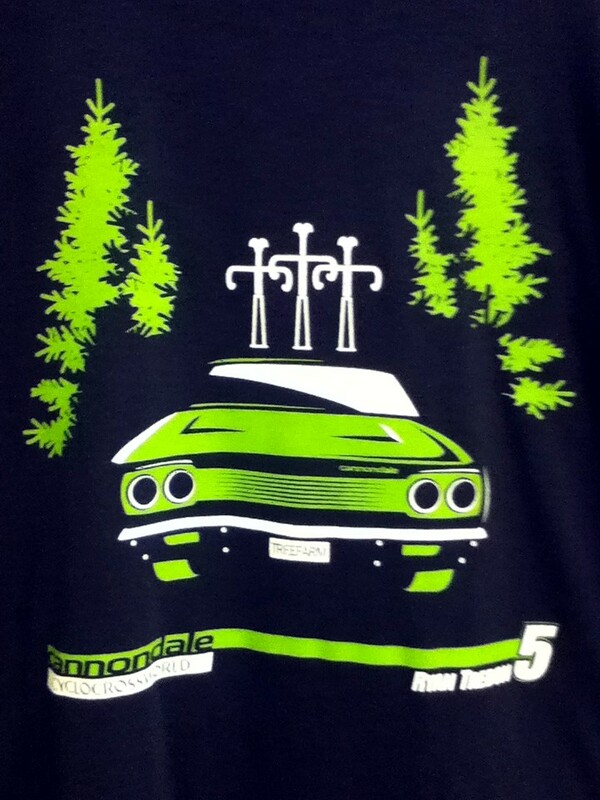 Ryan Trebon Team T-Shirts are now available from Cyclocrossworld.com! 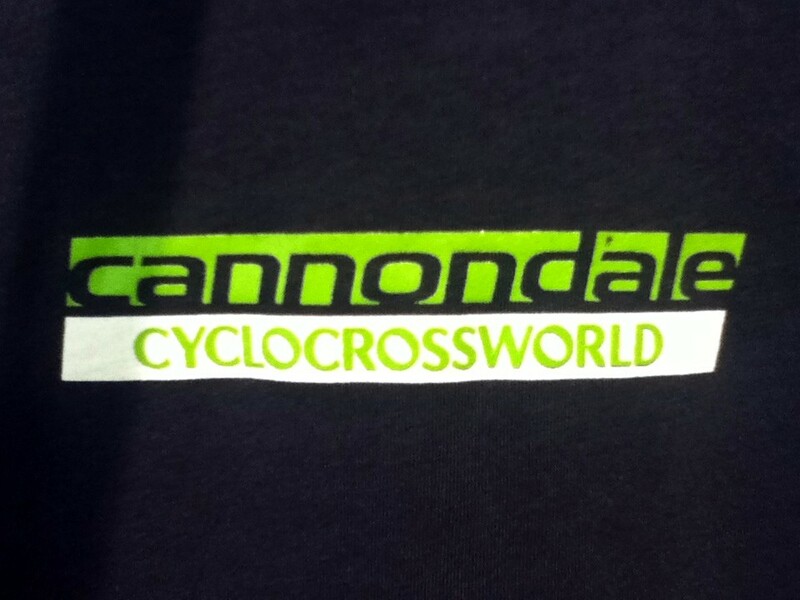 You can have one of these awesome looking shirts to show you’re a supporter of Oregon’s Ryan Trebon and the Cannondale p/b Cyclocrossworld team. Features a custom muscle car with bikes on top graphic on the front, and Cannondale/Cyclocrossworld logo on the back center neck of the shirt. Canvas brand, 100% preshrunk cotton tees made in the U.S. and printed here in Massachusetts!